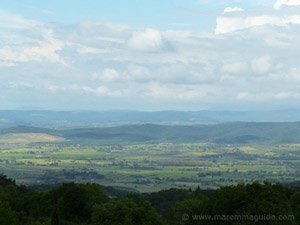 The above picture of olive oil is that of the "Olio Extravergine di Oliva Toscano" produced by my local Frantoio - olive oil manufacturer - in Maremma, Italy. 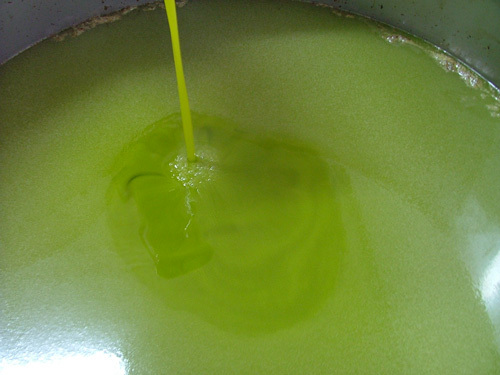 And the photographs in the photo gallery below are of each step of this wonderful "olio verde" - green oil's - cold press extraction. 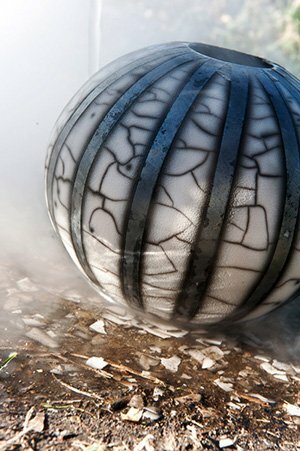 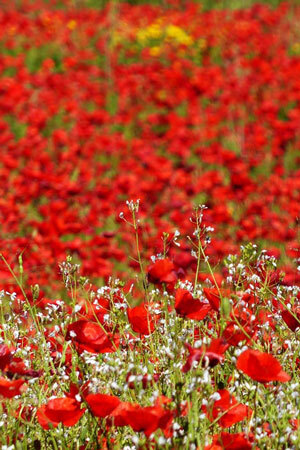 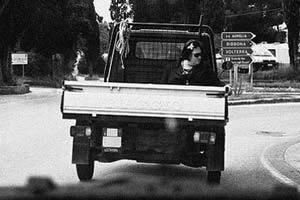 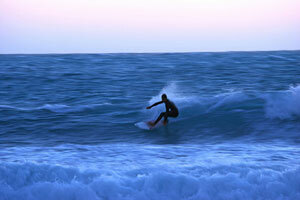 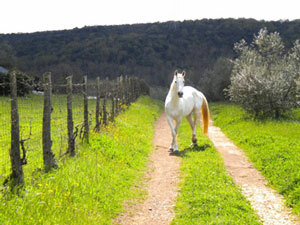 Click on each of the photographs to view larger images. 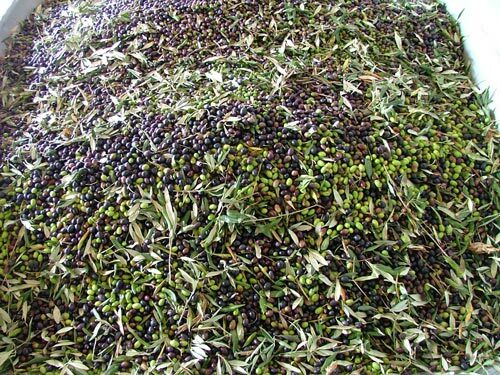 Harvested olives from different Tuscan olive tree varieties, such as Olivastra, Moraiolo, Leccino and Frantoiano, are mixed together in order to produce a very high quality "olio Toscano" - Tuscan oil. 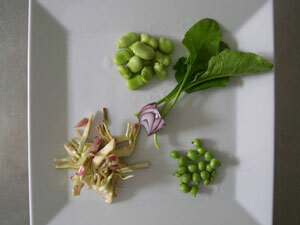 The cold press method starts with the separation of the olives from the accompanying leaves and twigs etc. 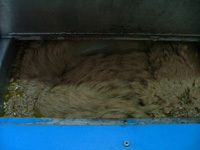 The olives are then vigorously washed in the "lavatrice" (washing machine) using an air and water mixture. 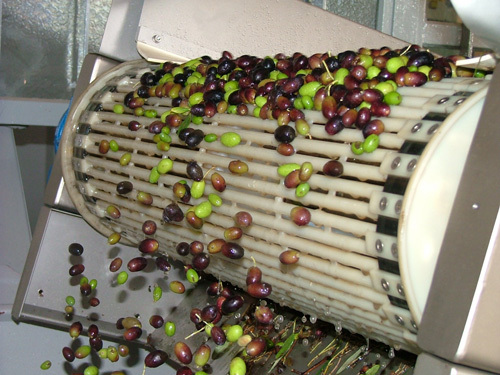 Upon leaving the washing machine, the olives enter the "frangitura" - a series of rapidly rotating drums (between 1200 and 3000 rotations a minute) - where both the excess water falls away and the olive flesh is quickly separated from the its stone. The olives are then crushed in a steel drum -the "molitura" - to form a fine paste - the "pasta d'olio". 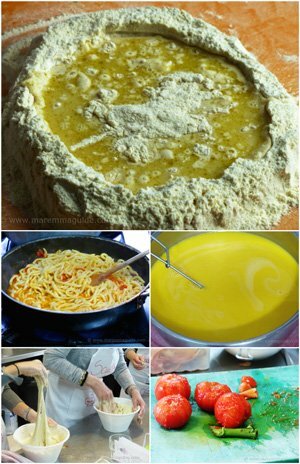 In the "gramolatura" the paste is then "malaxed" - slowly churned - for around 20 to 40 minutes in order to facilitate the small droplets of oil released by the milling process to aggregate and be more easily separated. 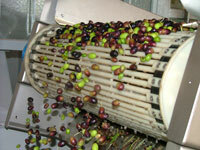 During the grinding and malaxation stages the action of fruit enzymes gives each olive oil its particular aroma. After malaxation the paste is pumped to a phase separator - a decanter centrifuge. 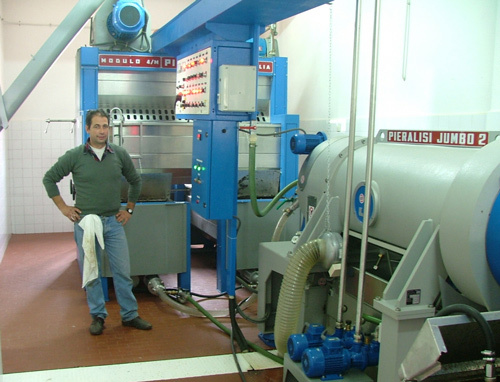 The cold press olive oil machine at Frantoio Stanghellini in Valpiana, with its owner. Behind him are the olive grinder and malaxation steel drums, and in the foreground the horizontal centrifuge. 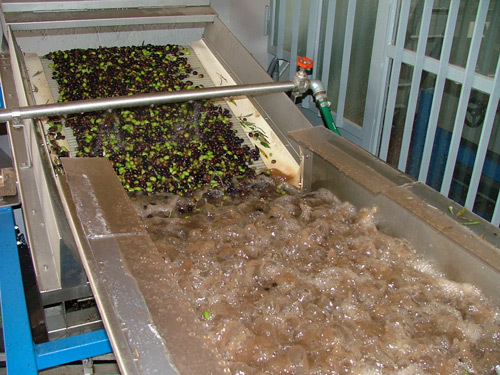 The centrifuge rotates at approximately 3000 rpm, separating the three phases of solids, vegetation water, and olive oil via their different densities. 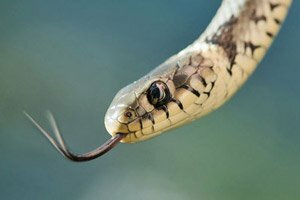 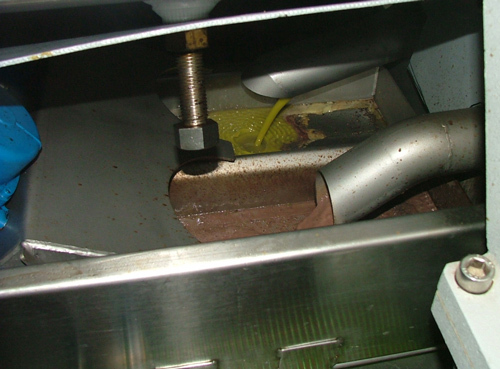 There is also a coil within the centrifuge that rotates at a few rpm slower and pushes the solid materials out of the system. 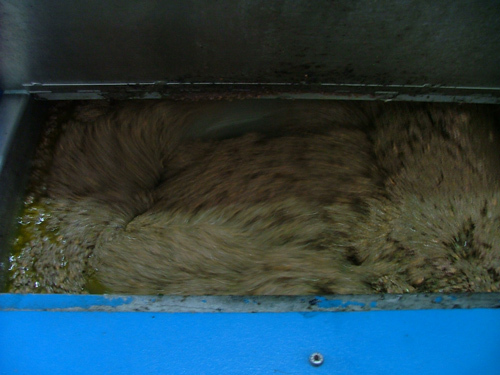 This photograph shows the olive oil and water leaving the centrifuge by two different channels. 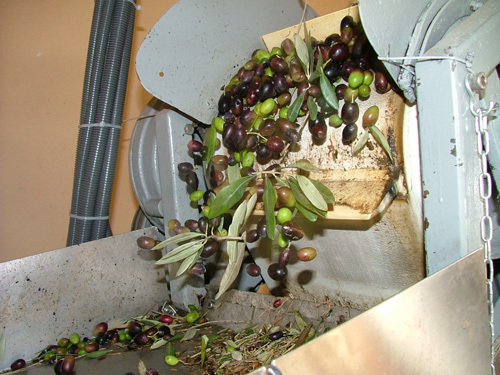 At the end of the extraction process, the first cold press olive oil - "olio extravergine" - leaves the machine and is collected in a large steel container, from which containers for each participating olive grower are filled. 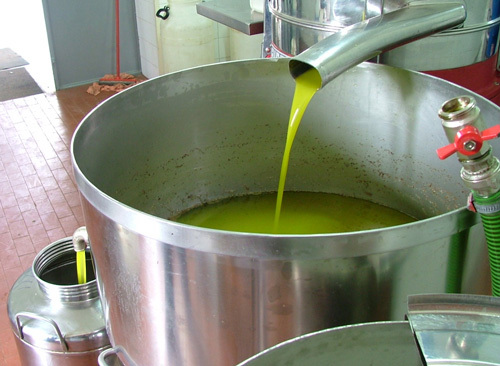 NOTE: The terms "first cold press olive oil" and the Italian version, "olio extravergine prima spremitura", are both misnomers as there is no second press of virgin olive oil. 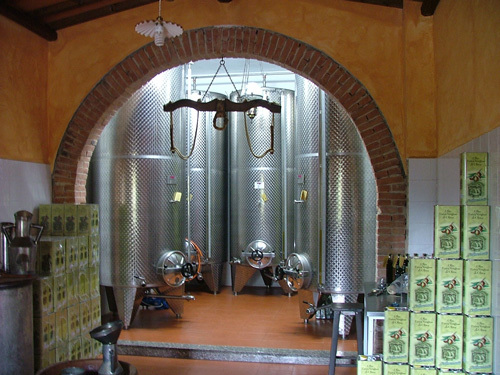 The names tend to be used on olive oil bottle labels to infer a premium quality. 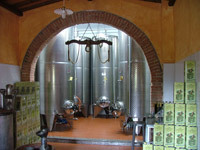 The olive oil storage tanks into which the newly pressed Olio Extravergine di Oliva Toscano is transfered. 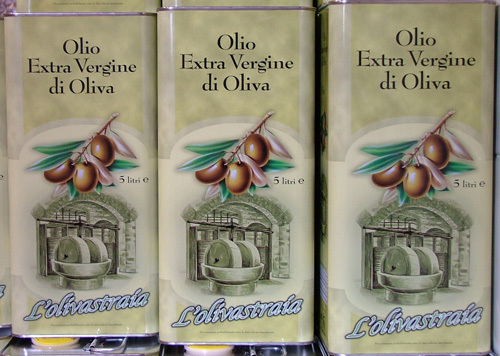 The five litres tins of L'olivastraia Olio Extra Vergine di Oliva from the Frantoio Stanghellini. 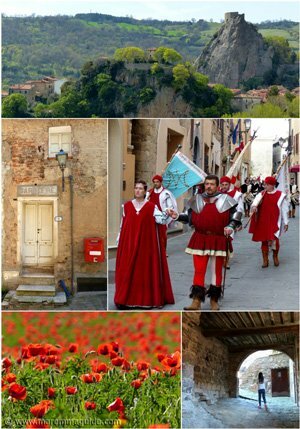 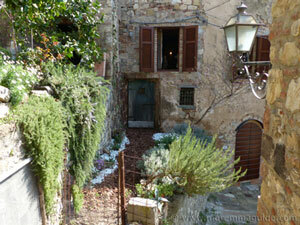 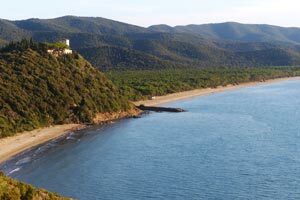 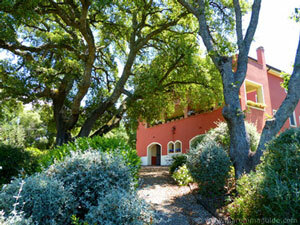 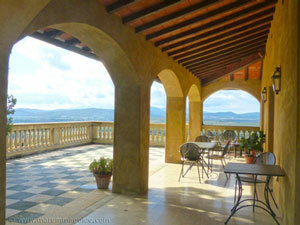 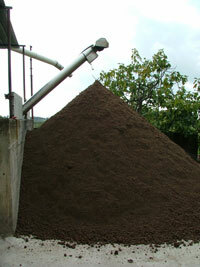 This brown mountain grows at a pace during the weeks that the olives are pressed. 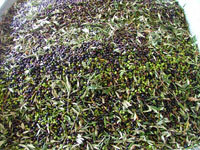 It is the "pomace" paste - the "sansa di olive" - that remains after the virgin olive oil is extracted from the olives. 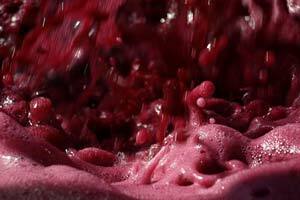 The pomace still contains a small quantity - about 2% to 6% - of oil that may only be extracted with chemical solvents. 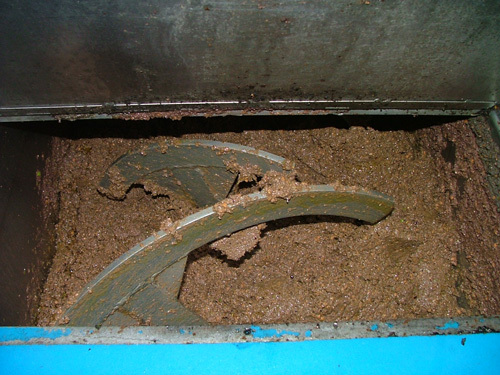 The oil produced in this way is called "pomace oil" and is sometimes used for cooking in the catering trade.